Nassau County, NY - December 9, 2014 - With a Nor’easter approaching our area, a high wind watch in effect and frigid temperatures, Nassau County Executive Edward P. Mangano and the Nassau County Office of Emergency Management has secured the following locations as Warming Centers, in the event that high winds create power outages. Salvation Army Freeport: 66 Church Street, 9:30 a.m. - 4:30 p.m. In the event of an emergency, please dial 911. 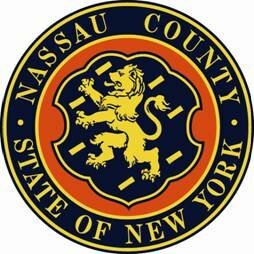 In addition, Nassau County’s Emergency Shelter Relief Program for homeless individuals and families during the winter months has been activated. The Nassau County Winter Homeless Hotline, WARMBED, operates 7 days a week and will run through March 31st, 2015. If winter conditions persist beyond March 31st, the program will continue until warmer weather arrives. Between the hours of 6:00 p.m. and 8:00 a.m. Monday thru Thursday, and Friday from 6:00 p.m. thru Monday at 8:00 a.m., employees from WARMBED and the Department of Social Services (DSS) will make appropriate referrals and provide shelter placement. Once placed, the staff at DSS and the Office of Housing & Community Development will contact those who are homeless in order to access resources for permanent housing. County Executive Mangano also urges Nassau’s homeless veterans to take advantage of the WARMBED program, where they will be assisted by the Nassau County Veterans Services Agency. Mangano Administration Employees Honored for their Work with Sandy Restoration. Subject: LongIsland.com - Your Name sent you Article details of "Mangano Announces Warming Center Preparations and Emergency Numbers Ahead of Nor'easter"